I get asked this question a lot. Looking through my email inbox, seems everyone (pitchers, parents, coaches) wants to know the secrets to increasing velocity. “How do I help my pitcher, my son (whatever the case might be) throw harder so he can compete against tougher competition. And as I was about to set on putting together a new in-depth blog post on the subject, a thought came to me. What if, instead of the typical email or blog post, I did something different? What if I walked you through the process of creating your own velocity program, step by step, the same way I would if you were right here with me? But FIRST – important note. I do NOT endorse “velocity programs” for young pitchers. This isn’t for pitchers 10, 11, 12 years old… Kids should develop a sound foundation, learn to love the game, develop as athletes, and be allowed to grow into their own velocity potential (learning the basics in the 5 Power Moves is a good place to start, incidentally). That said, if a pitcher wants to play and compete at the next level, there’s no denying this fact… Velocity matters. And the vast majority of amateur pitchers are leaving MPHs in the tank. It’s a very good question, and a very difficult question to answer because, without actually seeing that pitcher, it’s tough to pinpoint it to one particular thing… Because yes, mechanics are definitely a big part of maximizing velocity… but while mechanics are important it’s tough to say what does THIS individual pitcher need to work on without actually seeing him pitch. Whatever it might be. The first thing I would always start off with is getting that initial video analysis. Doing a full breakdown of his mechanics. Being able to SEE it on video is key because you can really slow it down and see what’s going on in his motion. (The Pocket Radar is a great option if you’re looking for a highly accurate radar gun that won’t set you back $1,000). Now he knows what he’s starting at and he knows what he can shoot for. All these things come into play, but the first step is always getting that baseline. 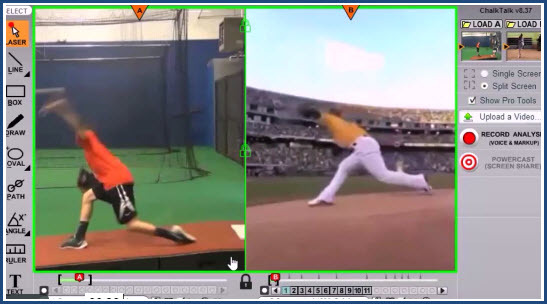 Doing that motion analysis to look at his delivery, look at his mechanics essentially and see where there might be some energy leaks, some power leaks. Then getting that radar reading so you know where he’s currently at. 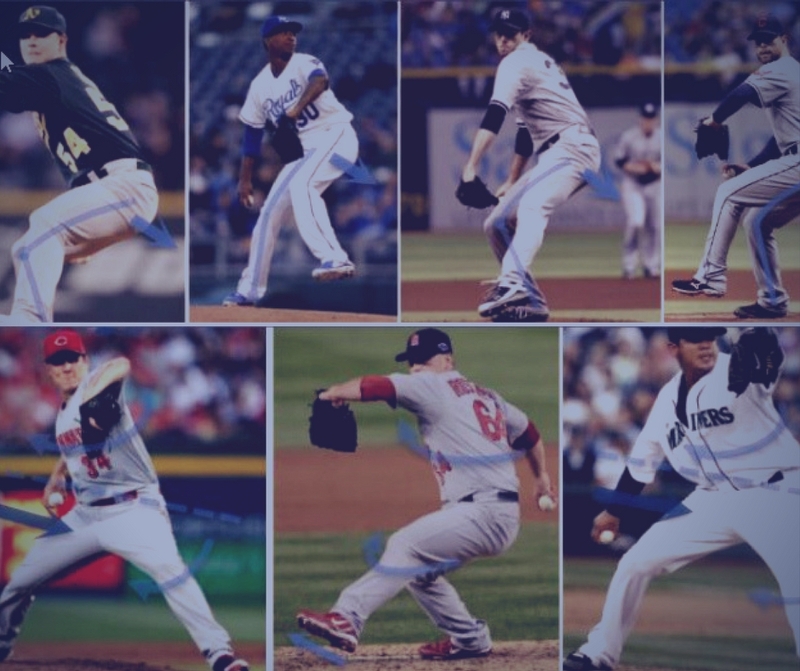 Stay Tuned for STEP 2 in this 5 Part “build your own velocity program” series… where you’ll learn two ways to gain velocity before you ever set foot on the mound.